OCEANSIDE — City Manager Steve Jepsen resigned from his position during closed session on Wednesday. He was not present at the City Council meeting following his resignation. In a letter of public statement Jepsen said a settlement agreement is not his first choice. He thanked city staff and residents. “I remain hopeful that my departure will allow the Council to focus on (a) proactive agenda for services to the residents of Oceanside,” Jepsen said. City Attorney John Mullen opened the Feb. 18 meeting with a report that the City Council accepted Jepsen’s resignation in a 3-2 vote, with Councilmen Jack Feller and Jerry Kern voting no. A 3-2 vote also hired Jepsen. Feller and Kern voted in Jepsen in October 2013 along with former Councilman Gary Felien. 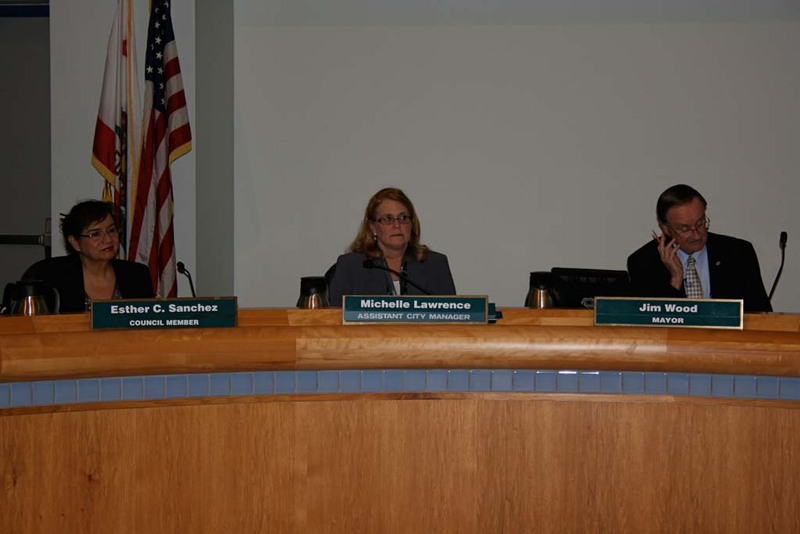 Mayor Jim Wood and Councilwoman Esther Sanchez voted against hiring Jepsen. Following the city attorney’s report Feller said he strongly opposed the separation. Wood said there were philosophical differences, and it was time to move forward. Since Councilman Chuck Lowery was voted in, in November, the council majority shifted and differences between the majority and city manager become apparent. The City Council proposed actions to limit the city manager’s powers. Council voted to lower the city manager’s discretionary purchasing from $50,000 to $25,000. Council also proposed requiring council approval of all hires by the city manager, but this item was never heard. Following the meeting Wood said both of the limitations would likely be scrapped when a new city manager is hired. Deputy City Manager Michelle Skaggs Lawrence will serve as interim city manager while Oceanside launches a nationwide search for a new hire. Jepsen walks away with 15 months salary, earned leave and holiday pay, and 15 months medical coverage. Salary, leave and holiday pay add up to $289,000. Since Jepsen elected to resign immediately PERs costs of $70,000 for a year’s leave will be saved by the city. The terms of the separation agreement were written into Jepsen’s hiring contract. Jepsen formerly worked as Oceanside city manager from 2000 to 2006.